Beginning in rasterio 0.3, you can read and write “windows” of raster files. This feature allows you to work on rasters that are larger than your computers RAM or process chunks of large rasters in parallel. A window is a view onto a rectangular subset of a raster dataset and is described in rasterio by column and row offsets and width and height in pixels. These may be ints or floats. Windows may also be constructed from numpy array index tuples or slice objects. Only int values are permitted in these cases. If height and width keyword arguments are passed to from_slices, relative and open-ended slices may be used. Here is an example of reading a 256 row x 512 column subset of the rasterio test file. Writing works similarly. The following creates a blank 500 column x 300 row GeoTIFF and plops 37,500 pixels with value 127 into a window 30 pixels down from and 50 pixels to the right of the upper left corner of the GeoTIFF. If the write window is smaller than the data, the data will be decimated. Below, the window is scaled to one third of the source image. Basic union and intersection operations are available for windows, to streamline operations across dynamically created windows for a series of bands or datasets with the same full extent. 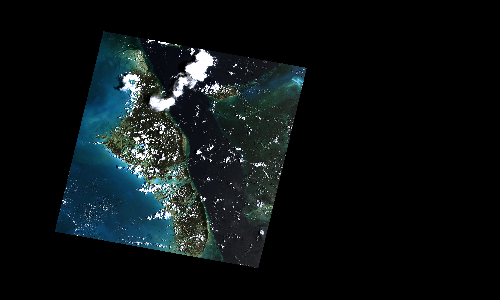 Raster datasets are generally composed of multiple blocks of data and windowed reads and writes are most efficient when the windows match the dataset’s own block structure. When a file is opened to read, the shape of blocks for any band can be had from the block_shapes property. The block windows themselves can be had from the block_windows function. This function returns an iterator that yields a pair of values. The second is a window tuple that can be used in calls to read or write . The first is the pair of row and column indexes of this block within all blocks of the dataset. You may read windows of data from a file block-by-block like this. Well-bred files have identically blocked bands, but GDAL allows otherwise and it’s a good idea to test this assumption in your code. 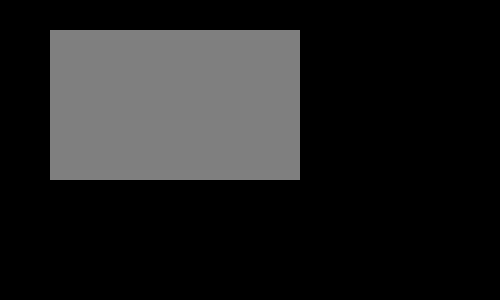 The block_shapes property is a band-ordered list of block shapes and set(src.block_shapes) gives you the set of unique shapes. Asserting that there is only one item in the set is effectively the same as asserting that all bands have the same block structure. If they do, you can use the same windows for each.